How to Avoid Unnecessary Creation of Tickets for Issues that Have Approved Resolutions? How to Avoid Needless Waiting Time for a Change Authorization? How to Move a Change Forward When the Assigned Change Manager is Unavailable? How to Get Your IT Team a Wow from Key Decision-Makers? How to Prevent Junk Emails Getting into Your IT Help Desk? How to Avoid Costly IT Mistakes Arising from Partly Filled Service Requests? How to Streamline IT Service Requests Creation Using ServiceDesk Plus? How to Avoid Long Winded Email Conversations in Your Service Request Fulfilment Process? How to Promptly Notify Technicians of Critical Incidents After Operational Hours? A Simple User Management Hack to Avoid IT Help Desk Mayhem. Three Simple Ways to Automatically Assign the Right Technician to a Ticket. How to Smartly Avoid Unwanted Crisis Due To Technician's Unavailability? Three Great Help Desk Values Your Technician Groups Unlock. How to Efficiently Deal With Incidents That Are Incorrectly Assigned And Involve Multiple Support Groups? Empower Your Users To Create Tickets On Behalf of Others. How to Easily Retrieve a Request that is Unwittingly Deleted? Three Smart Ways to Track First Response and Stay Efficient. How ServiceDesk Plus Helps You to Cleverly Ensure Balance in IT Service Delivery? How to Automatically Reopen a Ticket When There is No Response from the User? How to Proactively Avoid Unnecessary Escalations of Tickets? Learn how a simple configuration prevents unnecessary creation of tickets that have approved resolutions and save your technician's time. Let's assume that your IT help desk frequently receives tickets from end users reporting a synchronization failure of Outlook with mobile mail client. Your technicians have analyzed the issue and provided the steps to resolve this. They have also included the resolution steps in a document, put it on your website's troubleshooting section, and added it in the application's knowledge base as well. However, your IT help desk receives similar tickets frequently and the technicians are tired of providing the same resolution again and again. Does this situation sound familiar? The problem is universal. No matter how good or informative your knowledge base is, it is always hard to convince end users to check the knowledge base prior to raising tickets. Here's how ServiceDesk Plus helps you to avoid creation of such tickets using 'Solution Auto Suggest' feature. When a user creates a new ticket (incident) using a template through self-service portal, solution articles from knowledge base and announcements are automatically suggested to the user. Encourage your end users to refer knowledge base articles and announcements prior to raising a ticket. Have multiple valid and relevant keywords confi gured for a knowledge base article. Pushes the users to inadvertently access the knowledge base articles for issues that have approved resolutions. Reduces the creation of similar incidents that eventually enable technicians to focus on other critical issues. Learn how to smartly avoid unnecessary waiting time to get an RFC authorized by a change manager. Lets imagine your IT help desk receives complaints from multiple users of a particular department regarding intermittent network connection. Your technicians have found the root cause to be a faulty router that has to be replaced. Then, a technician creates a new change request, which in the fi rst place has to be authorized by the change manager. Let's say that Heather Graham is the change manager for all the network related changes in your organization. Heather is not automatically notifi ed about the creation of this change. Also the technician is unaware of this fact and blindly waits for an approval from the change manager. This lack of visibility leads to delayed assistance to the end users that eventually drove multiple users to report the same issue resulting in unnecessary chaos. ServiceDesk Plus lets you to pre-confi gure a change manager to the changes based on category and template. This automatically populates and notifi es a change manager when you create a change so that he/she can act quickly on the RFC. To confi gure, go to Admin -> Helpdesk Customizer -> Category (choose and edit a category) -> Assign change manager. Learn how to move a change towards implementation when the assigned change manager is unavailable to supervise. Go to Change -> Choose a particular change -> Under the roles section, assign one or more change approvers. Never forget to assign a change approver for every change so that if the change manager is unavailable then the change approver can approve\reject. Ensure healthy communication and co-ordination among the change manager, change approver, and change owner. Quick movement of an RFC towards implementation without unnecessary delays. Co-ordination among the respective people for desired results. Learn how to automatically prioritize tickets from key decision-makers and get your IT team a wow! Your IT help desk most likely sees a lot of we need it now tickets. These tickets could be from an entry-level staff, mid-level executives, or even the upper management. In such scenarios, you will defi nitely need to prioritize the tickets. Let's say, the CEO of an organization requests access to a business analytic tool to gather data. And an entry-level employee raises the same request. Clearly, you will need some form of prioritization in this case. So how do you prioritize tickets based on end users? Here's how you can do it easily using ServiceDesk Plus. Classify and confi gure end users as VIP users based on their positions such as directors, vice presidents, managers, administrators, and so on. When a VIP user reports an incident or raises a service request, an icon identifying the user as a VIP appears next to the person's name. This will enable the technician to prioritize the ticket easily. Go to Admin -> Requesters (under user's section) -> Choose and edit a requester -> Enable the VIP user check box. Confi gure business rules to automatically assign high priority to tickets arising from VIP users and confi gure SLAs with shorter response and resolution due time. Assign such requests to SMEs or senior technicians for eff ective assistance and quick resolutions. Quickly resolve tickets from users who play important roles in an organization. Ensure high availability of service for key decision-makers and increase the credibility of your IT team. Learn how to prevent unwanted emails entering your IT help desk and smartly save time for your technicians. Every day when you log into the ServiceDesk Plus application, it's not a pleasant sight to see spam or promotional mails saying, "automatic reply", "mailer daemon", "best buy Arazon" etc. crowding your inbox. This can be particularly frustrating on Monday mornings that set the stage for the week ahead. Trashing out these emails can eat an hour or two of your technicians' valuable time every day. Furthermore, with SLA timers ticking across tickets, eliminating these emails can take your technicians' focus away from other higher priority issues that need immediate attention. During such times, here is how you can smartly prevent junk emails from entering into ServiceDesk Plus and save your technicians' time and energy. Before confi guring the spam fi lter, prepare a list of 'email subject lines, senders etc.' and then confi gure them as spam. Configure the spam filter and reduce the flow of unwanted emails into your IT help desk. Automatically block the spam emails and let your technicians focus on business critical issues. Learn how to smartly validate and ensure exactness of a service request without wasting the technician's time. Imagine a new employee joins your organization. The HR executive creates a service request for the 'new joinee' process. While fi lling the service request, the HR executive does not provide the specifi cs of the devices to be provided, privileges for the new employee, soft ware products that he needs etc. This partly fi lled service request is not suff icient for a technician to provide the required services to the user. The technician sends out multiple emails to various people involved to fi gure out the exact services to be provided. Let's assume that one of such person provides the wrong information to the technician. This results in incorrect service delivery, unnecessary confusion, waiting time, and most importantly, a delay in desired service delivery. If yes, ServiceDesk Plus lets you to resolve this issue with a simple logic. 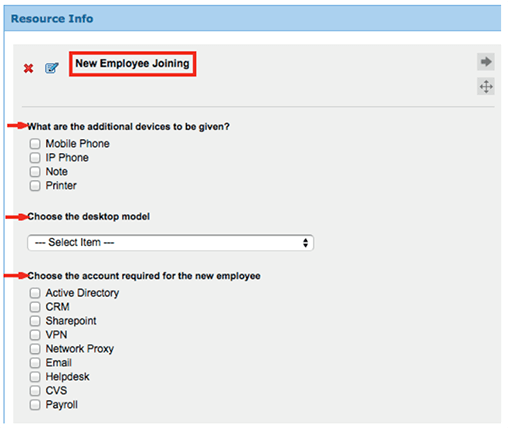 Ideally, the new employee's reporting manager is the right person to suggest the above mentioned information. Therefore, we recommend that you assign a person as an editor in ServiceDesk Plus to validate such requests and avoid making some costly mistakes. The editor cross checks the service request created by a user and ensures precision and clarity before a technician starts working on the service request. Admin -> Service Catalog -> Choose a template -> Drag and drop the editor fi eld into the template from the left pane. Similarly, the IT technicians and the user who creates the service request are also notifi ed. Admin privilege to the active directory etc. Validate your service requests to avoid simple mistakes to costly blunders and confusions. Provide perfect information to save your IT technicians' time and ensure exactness for them. Learn how to prevent invalid service request creation and avoid unnecessary confusion. Your IT help desk receives a myriad of service requests every day, but some of them could be invalid for various reasons. Let's assume that a user from the payroll department unwittingly requests for a design soft ware. When this service request reaches the IT help desk, the technician has to validate the request before he proceeds any further. He has to check if the user really needs the soft ware. Why waste your technician's time when you can hand over this responsibility to someone like a service request approver? Go to Admin -> Requesters (Under users section) -> Choose a requester -> Enable Service Request Approver option. Go to Admin -> Service Catalog -> Choose the service category -> Choose a template -> drag and drop the "select approvers" fi eld -> Save the template. To avoid SLA violation of service requests that await approval, configure the application to create such service requests with statuses with SLA timer stopped. To do this, go to Admin -> Self-Service Portal Settings -> Confi gure "While a request is waiting for approval, stop the timer and set request status to" option. Enable automatic notification to the approver. Go to Admin -> Service Catalog -> Choose the service category -> Choose the service template -> Workfl ow -> Enable "Send approval notifi - cation automatically when a service request is raised" option. Filter out invalid service requests from your IT help desk. Save your technicians' time spent on validating the service requests. Let them focus on other critical issues. Learn how to narrow down a user's requirement without multiple email iterations. Let's assume a new employee joins your organization. The department head raises a service request to provide the devices and accounts to the new employee, without critical details such as the specifi cations and the privilege limits of the employee. The technician, in turn, sends multiple emails to the department head to fi nd out the exact model of the device , specifi cations, soft ware to be provided, access permissions, etc. Wouldn't it be a lot easier if the requester provides all the necessary details at the time of creating the service request? Go to Admin -> Service catalog -> choose a service category -> choose and edit a template -> add resource. Encourage your end users to answer the questions in the resources section when they raise a service request. For each service that you deliver, ensure that the request template has the relevant questions in the resources section. Minimize the number of email iterations between the end user and the technician for a service request. Improve the speed of the request fulfilment process. Learn how to effectively deal with incidents that arise on non-operating hours and holidays. Let's imagine it's a Sunday aft ernoon and the monitoring device in your network identifi es a security violation on the application server. The device sends out an alert to the help desk and creates a ticket. You have a specialized technician group to handle with such security incidents. However, your technicians might miss the ticket as it was created during a holiday. And when the technicians' notice the ticket on the next working day, it might be late already. Here are two simple processes that will help you manage such situations using ServiceDesk Plus. Create a business rule that should be executed anytime. Notify the technicians through email and sms. Notify the members of the group automatically through mobile phone, email and application. Go to Admin -> Support Groups -> Enable "Send notifi cation to group technicians when a new request is added to this group" option. Promptly notify the technicians of critical incidents that occur out of working hours or holidays. Notify the technicians through SMS, email, and through application that they don't miss out at any cost. Tips to overcome the challenges in user management and move towards an organized help desk environment. Let's imagine there is going to be a planned network maintenance activity in one of the branches of your organization, lets say New York. The users in the New York branch alone are to be notifi ed about the planned network downtime. If you make this announcement to the entire organization, instead of the users in the respective branch, it might create unnecessary chaos. Let's also, imagine that certain services are specifi c to only few users. For e.g. access to payroll server, database, active directory administrator privilege etc. If you do not restrict these services to these users, then there is greater possibility that your IT help desk receives many unwanted and incorrect tickets. The above mentioned two critical issues can be easily avoided with ServiceDesk Plus. Organize your users into groups based on certain criteria. Organize your users based on a combination of criteria, E.g. Users who are SMEs in engineering department belonging to New York. Restrict services, announcements, and knowledge base articles to relevant user community. Avoid unnecessary requests to your IT help desk and chaos in your organization. Learn how to automatically assign the right technician to a ticket and avoid unnecessary waiting time. Let's imagine its a month end and a user from the payroll team is unable to login to the payroll application. He sends an email to the IT help desk to fi x the problem at the earliest which is created as a ticket. The help desk coordinator is unavailable and the ticket lies in an unassigned state until the help desk administrator assigns the ticket to the concerned technician. Meanwhile, the aff ected user loses his patience and repeatedly calls or emails the help desk team leading to more number of tickets. Now wouldn't it be good to assign the corresponding technician automatically as soon as a ticket is created in the help desk? Go to Admin -> Help desk Customizer (under help desk section) -> Choose a catogory -> Assign a technician. Therefore, when a user chooses a category while creating the ticket, the technician is automatically assigned. Assign a technician to a ticket based on pre-defi ned criteria or rule set. Go to Admin -> Business Rules (under help desk section) -> Choose a rule or create a new rule -> Specify the criteria and set the actions. Go to Admin -> Incident Templates (Under help desk section) -> Choose a template -> Select a technician from the drop down -> Save the template. Similarly, you can assign a technician to a service template through service catalog. Assign technicians to tickets based on their skills, level of expertise, sites etc. Enable email and SMS notifications for the technicians for immediate attention. Avoid having pending tickets in queue. Ensure prompt service delivery and meet SLAs on time. Rule out the necessity for a help desk co-ordinator. Learn the automation that help you to easily avoid crisis when technicians are unavailable. ServiceDesk Plus helps you to boldly face such situations and keeps your requesters happy. Mark your technician as unavailable and confi gure a back up technician who can assist the requester with his requirement. Go to Home (respective technician's web portal) -> Scheduler section -> Choose a day from the calendar -> Mark leave. 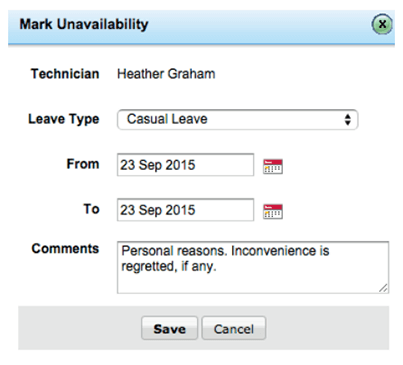 Go to Home -> Scheduler section -> Click on the icon on the day marked as leave -> Choose the back up technician. Encourage your technicians to mark their unavailability for smart automation of ServiceDesk Plus and also enable other technicians to stay extra careful. Always place the request to a technician group rather than assigning a specific technician. Avoid confusions that arise due to technician's unavailability. Avoid manual work in assigning another technician to a high priority request. Avoid unnecessary waiting time and stay SLA compliant. Learn how categorizing your IT technicians help you sail towards help desk efficiency. Let's imagine the COO (among many other end users) of your organization faces intermittent network disconnection. He is in no position to prepare a report on the organization's weekly progress that is to be submitted to the board members the next day. The desperate COO calls up the help desk and asks the coordinator to assign a technician who can fi x the network disconnection with high priority. The coordinator creates a ticket and assigns it to a technician who is an expert in network related issues, without realizing that he is unavailable that particular day. The SLA timer keeps ticking, the COO keeps waiting, the coordinator keeps assigning the technician with no idea about the faltered situation. If this sounds familiar to you, here's how ServiceDesk Plus lets you manage this situation easily and automatically. 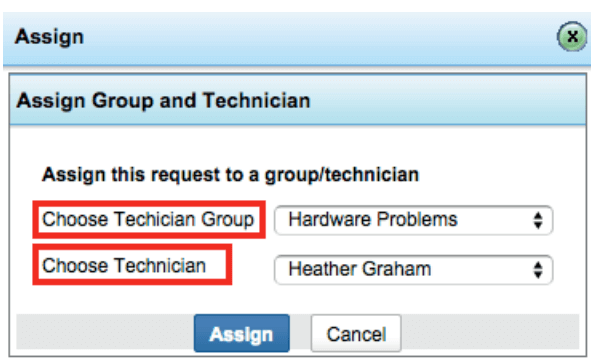 Group your technicians into 'Support Groups' based on their expertise and assign a ticket to the group. E.g. Technician groups to handle network issues, desktop hardware, application performance, security, IP phones-related etc. Go to Admin -> Support Groups (Under users section) -> Add New Group -> Choose the technicians -> Save. Instead of automatically assigning technicians, assign a support group to the ticket. One of the available technicians will take it up and fix the issue on priority basis. Always choose to notify all the technicians of a support group. Automatically assign a ticket to the group (No worries about a technician's unavailability). Alert technicians in a group about the assignment, progress, and closure of a ticket. Tips to reduce waiting time and efficiently deal with incidents that involve multiple technician groups. Let's assume your IT help desk receives an incident from a user about "network connectivity problem" in his laptop. By pre-confi gured automation, the ticket gets assigned to a technician group that is skilled with network connectivity issues. A technician analyzes the incident and suspects that the root cause is a faulty NIC (Network Interface Card) in the laptop. In order to replace the NIC, the incident has to be moved to a diff erent technician group. Since this particular technician does not have the privilege to re-assign a diff erent technician or a technician group to the incident, he adds a note and sends the incident to the administrator for re-assignment. The administrator, who has multiple critical issues to deal with, might take a long time for the re-assignment. Meanwhile , the tasks of the user are deferred and eventually the productivity gets aff ected. The case is worse if the user has a critical business impact. ServiceDesk Plus helps you deal with such crisis through a simple, yet powerful confi guration. Empower your technicians with the privilege to assign an incident to a diff erent technician or a group. 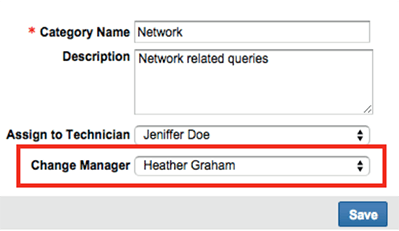 Go to Admin -> Roles (under users section) -> Add New Role or Edit an existing role -> Enable the option "Assigning Technician" under 'Advanced Permissions' section -> Save. Avoid unnecessary waiting time for re-assignment of incidents. Meet your service delivery standards with high user satisfaction. Learn the benefits of empowering your users to create tickets in your IT help desk on behalf of others. Let's imagine, one of your users has to present the 'Annual Strategic Operations Plan' to the delegates. On doing a last minute check, the user is unable to log in to his laptop due to a password lock in the active directory. He tries to reach out to the IT help desk through phone, but in vain . He has no means to access the help desk application or raise a ticket. As an IT help desk administrator, how will you help this user get over this situation? Here's how ServiceDesk Plus lets you help a user in scenarios like this. Empower your users to create a ticket 'On Behalf of' others through their self service portal. In the above-mentioned scenario, the troubled user can ask his colleague to raise a high priority incident on behalf of him. The help desk technicians get notifi ed as soon as the incident is created and act accordingly. Aft er enabling, populate the required set of users in the application by executing their corresponding queries. Learn how to easily retrieve a request that is accidentally deleted from your IT help desk. It's a Monday morning, and one of your technicians is trashing out the junk emails that were accumulated over the weekend. In the bulk deletion process, he unwittingly deletes an incident that was raised by the CFO of your organization. The technician is unaware of the request deletion, while the CFO frantically waits for a response. At a certain point in time, the CFO calls the IT administrator and bawls for a resolution. Only then the administrator realizes that the incident was trashed out from the IT help desk. The administrator believes that it is disreputable to ask the CFO to raise a new incident. In such situation, how do you keep the credibility of your IT help desk intact? ServiceDesk Plus lets you to manage this situation with ease. When you delete requests, they are stored in trash. You can retrieve all deleted requests in a few clicks. Click on the request fi lter on the left corner -> Trash. Refer the below screenshot. Choose the request to be restored and click 'Restore'. Hassle free request retrieval process with no complex back-end mechanisms. No valid requests are lost, even accidentally. Learn different ways to track the first response made by a technician and stay efficient. Let's imagine a user is unable to perform an online transaction using his login credentials. He creates a help desk ticket without a mention of the actual error message. On noticing the ticket, the IT technician calls the user to gather more information on the issue. Aft er he gathers the required information, he starts working on the resolution of the issue and forgets to update the fi rst response in the application. Meanwhile the SLA timer is ticking, and records the ticket as fi rst response violated. Now the technician realizes that he has focused on ticket resolution and missed out on the response SLA. When a technician responds to a requester from within the ticket, the application automatically considers the reply as a fi rst response. W hen a technician responds to a requester through a phone call, he can add a note and make it as a fi rst response. To add a note, go to requests -> choose a ticket -> actions (at the top) -> add notes. When a technician adds a worklog to a ticket, he can make the worklog to be considered as a fi rst response. To add a worklog, go to requests -> choose a ticket -> tasks -> work log details -> add new. Encourage your technicians to update a ticket as and when they perform any activity on it. Enable proactive response escalation and alert the administrator and the respective technician about the first response violation. Learn how to smartly assign priorities to tickets and save your technicians from we need it now kind of users. Have you ever encountered a day where all your users raise tickets with high priority assigned? Let's imagine users raising high priority tickets for a RAM upgrade, application crash, login error in a payroll soft ware, password reset, browser crash etc. When all the tickets come in with high priority assigned, choosing the valid priority for each help desk ticket becomes a nightmare to the technician. How could you help your technicians handle such a challenge smartly? ServiceDesk Plus helps you to easily prioritize tickets like these with the help of a priority matrix. The priority matrix automatically assigns the priority to a ticket based on the impact and urgency of the ticket. Priority matrix requires a one-time confi guration by the help desk administrator for the respective business impact and urgency values. Go to Admin -> Help desk customizer (from help desk section) -> Priority matrix (left pane). When a user selects an impact and urgency in the request form while creating a new ticket, the confi gured priority will be automatically assigned to the ticket based on the combination of these two factors. Mandate the impact and the urgency fields to be filled while creating a ticket through forms. Hide the priority field from the users if necessary [to prevent unnecessary creation of high priority tickets]. Priority matrix reduces the burdensome activity of technicians to analyze a ticket and assign the right priority to it. Streamline the incoming tickets and assign fair SLAs to a ticket thereby ensuring balance in service delivery. Learn how to automatically reopen a ticket when there is no response from a user and follow up for better service delivery. It's a busy day and your help desk technicians are answering the IT help desk tickets. A few tickets are closed with quick resolutions and a few, that require more inputs from users, are moved to On-hold status [to avoid SLA violation]. The heavy workload keeps them busy and they forget about the pending tickets. Interestingly, few users are even busier than your technicians and they don't reply to the tickets. When the IT administrator takes a report of the help desk performance, he sees a huge list of pending tickets and realizes there were no follow-up emails to those users who never responded. Sound familiar? If yes, here's how ServiceDesk Plus lets you to easily overcome such challenges with the request status scheduler. Request status scheduler lets you to schedule a ticket to automatically move from On-hold status to any other status that has the SLA timer running [preferably Open]. Go to Requests -> Choose and edit a ticket -> Change the status from Open to On-Hold -> Click on the icon -> the following pop-up appears where you confi gure the date and time for the ticket to get automatically opened. Encourage your technicians to schedule the tickets to be opened after a specific number of days and send out a follow-up email to the users. Advise your technicians to close long pending tickets for which the user has never responded. Learn how to smartly act upon tickets that approach SLA violation and keep a tab on your help desk efficiency. Let's say a ticket is automatically assigned to a technician, who is out of off ice on a particular day. The SLA assigned to the ticket has a response and resolution due by time of four and eight operational hours respectively. Since there is no leave off icially marked for the technician, the IT administrator is unaware of the technician's unavailability and the backup technician is not confi gured as well. It's a busy day and the technicians' focus is on tickets under their scope. On the other hand, the ticket assigned to the unavailable technician approaches SLA violation. In such situations, will it not be good to get notifi ed about the ticket and proactively prevent SLA violations? ServiceDesk Plus lets you to cleverly address this challenge through a simple workfl ow through the actions section under service level agreements. Go to Admin -> Service Level Agreements -> Choose or Add an SLA -> Actions sections under escalations help you to get notifi ed about the tickets that are fast approaching SLA violation and take proactive actions on them. Notify senior technicians, technical experts, technicians who represent the respective support group etc for desirable immediate actions on the ticket. Get prior knowledge about tickets approaching SLA violation and take necessary actions. Reduce unnecessary SLA violations and ensure efficient service delivery. 20 ServiceDesk Plus Hacks for Better IT Help Desk Management - View PDF.